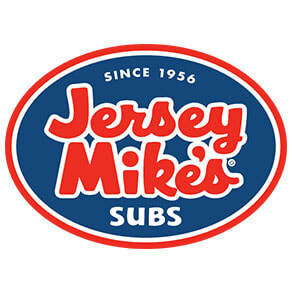 It started back in 1956, originally called Mike’s Subs in Point Pleasant, New Jersey. Today, the authentic taste – served Mike's Way® with lettuce, onions, tomatoes, oil, vinegar and spices – is available nationwide. Their secret? Everything about Jersey Mike’s is high quality. Their certified Angus Beef top rounds are trimmed and cooked right in the store. Their meats and cheeses are all top-quality premium brands. Their bread is fresh-baked each day on the premises. And of course, everything’s prepared right in front of you. It’s what makes Jersey Mike’s the most authentic tasting submarine sandwich available. And it’s a tradition of quality they’ll never outgrow.